How good can Brock Lesnar vs. Finn Bálor be compared to these matches? 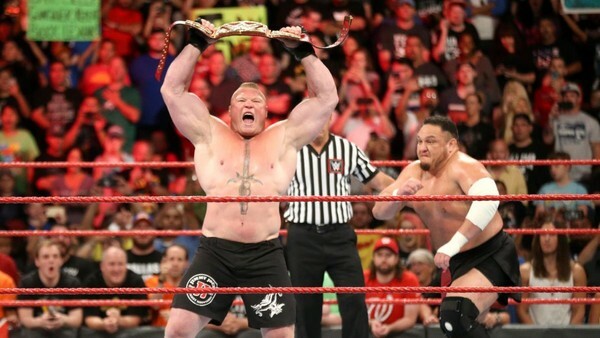 Brock Lesnar first won the Universal Championship from Goldberg back at WrestleMania 33, and is currently in the midst of his second reign with the title. He's wrestled in a total of nine matches as the "reigning, defending, undisputed Universal heavyweight champion!" - seven of which were title matches. We're just days away from the Royal Rumble, at which Lesnar will take on a fresh challenger in the form of Finn Bálor. How will that match stand up to his previous efforts with the strap? Will it be Lesnar's last match as WWE Universal Champion, or will 'The Beast' retain his and headline WrestleMania once again with the title over his shoulder? Take a look back at those matches from the last two years ranked from worst to best on this list, which includes both his interbrand matches at Survivor Series against AJ Styles and Daniel Bryan. The only match not included on this list since Great Balls Of Fire 2017 is Lesnar's match against Braun Strowman at last year's Crown Jewel, since Lesnar was not the champion heading into that match. Plus it's all probably best left forgotten.